Our Premier Services extend the use of your MediaPOINTE purchase and optimize your installation for insured quality to your end-user base. From pre-sales evaluation, installation services, to ongoing technical support, MediaPOINTE Premier Services guarantees the ongoing success of your organization through the use of MediaPOINTE products. The MediaPOINTE Service Plan provides you with a high level of support from your MediaPOINTE solution decision through deployment of your products and beyond. Our philosophy of providing the utmost in customer care underscores our commitment to consistently meet your needs. We strive to make your experience rewarding, and provide reliable service and training. It’s about making MediaPOINTE work for you. The MediaPOINTE Premier Service Plan provides you with essential service elements throughout a product‘s lifetime to support and extend the operation of your equipment. MediaPOINTE’s Premier Service demonstrates MediaPOINTE’s commitment to quality, simplicity, value and most importantly – you. Advance overnight hardware replacement – In the unlikely event that your equipment experiences a failure; replacement parts are shipped priority to you, in most cases arriving the next business day. The replacement hardware costs are covered by the support agreement, so you will not be billed for failures caused by the equipment. 24×7 support availability – We understand that you need assistance when you are starting or already in a conference, and we strive to provide support that is timely and professional. Software updates for technology investment protection – For systems covered by a Support Contract, new software releases are FREE! E-mail notifications are sent when new software updates become available. All future and past software releases are available as an integrated part of the service agreement. Products are supported with software up to six years after product “end of life” and software upgrades are released approximately twice a year. 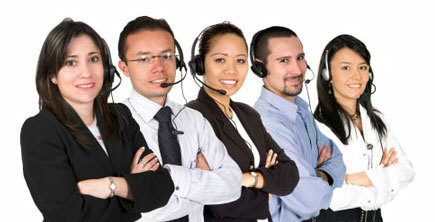 Consult MediaPOINTE technical representatives 24/7, including tier 1, 2, and 3 support and solution engineers. Ensure your technology investment; includes both hardware and software warranty. Access both current and previous software releases.